#Hellomynameis Amy and I have recently taken up a new role as the student member of the RCN council. I am an MSc student in my second year, studying adult and mental health nursing at City University, London. Before starting my degree, I worked as a healthcare assistant on an acute mental health ward and as a support worker for adults in the community, as well as doing volunteer work in Calais, Uganda and Cambodia. I decided to put myself forward for this role because I feel passionately that a key to positive change in healthcare is to improve and invest in the education of nurses and healthcare practitioners, domestically and globally. I have not worked in an organisation as established as the RCN before as I didn’t understand the impact groups like the RCN could have. I preferred to be on the picket line or in the middle of a protest, such as the demonstration against privatising the NHS on its 70th anniversary and the Stand Up to Racism march. However, after the college’s extraordinary general meeting last year, I saw an opportunity to get involved in the reformation of an institution. I decided to turn my frustrations with the world of nursing and nursing education into a passion for change and will continue to work to improve student representation. Since the axing of the student bursary in England in 2017, there has been about a 30% drop in applications. This decline is true across the UK, although most recent figures show an increase in numbers in Scotland, likely due to the recent increase in their student funding. With around 40,000 nursing vacancies in England alone, we need to start being realistic about who is going to fill these gaps and address the supply and demand issues. Students are working in the NHS and private sector full-time, hands-on with patients, often helping to fill the gaps in staffing levels. At the moment we are paying for the right to work, with many students working second jobs to make ends meet. This needs to be acknowledged and recognised. It's why the RCN is asking the government to invest £1 billion a year in nursing education through our #FundOurFuture campaign. Not only will this recognise the important work that nursing students do, it has the potential to transform the perception that nursing degrees are ‘too difficult’ and be a helpful tool in recruiting more nurses. The level of support students receive – whether academic or psychological support, or knowing you are a valued part of the team while on placement – varies immensely from university to university and between different clinical areas. Nursing students should never feel bullied or ignored on placement. We need a cultural shift and for everyone to understand how important educating nursing students is. We must work together to solve issues in our healthcare systems, by looking for examples of good practice, effective leadership, and beneficial schemes so we can learn from one another. Over the next two years, I will be working closely with the rest of the students committee, the RCN council and the rest of the team at the RCN to continue to fight for student funding, look at ways to make clinical practice safer and more supportive for students, and try to address some of the disparities across the different fields of nursing. For me, the most important thing you can do as a student is to get involved, even if that’s only reading the health news or joining the nursing society at your university. There are so many opportunities for nurses if you look for them. Remember why you chose nursing, and don’t get bogged down in the negativity and uncertainty around us. If someone asks you why would you want to be a nurse, kindly explain to them all the positive things about our chosen profession. Students have the privilege of being exposed to multiple clinical areas, specialities and occupations, giving us a unique insight into how the whole service works together. We must use this knowledge, share our experiences and encourage students to be part of the conversation. Some wonderful work is being done to raise the profile of nursing and some truly inspirational people are leading the fight for change. Let’s be a part of the solution, not the problem. 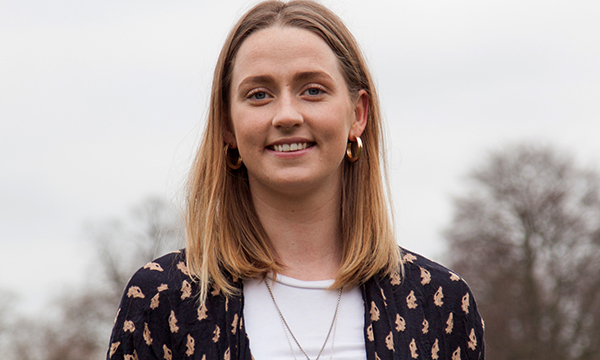 Amy Fancourt is a second-year adult and mental health nursing student at City University, London.